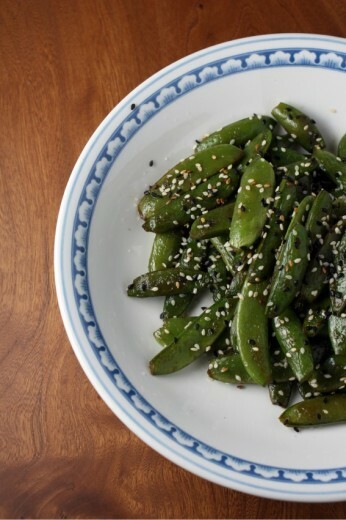 De-stringed snap peas are much better, agreed. This dish looks so simple and I am sure it is as addictive as you say. I might try it with some shrimp or tofu and rice for a dinner. 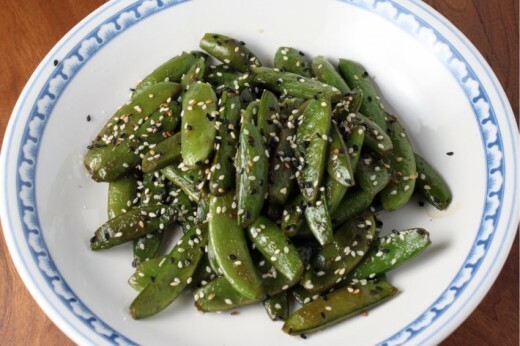 Sugar snap peas are one of my favorite foods. This looks like an addictive snack! Snap peas are actually my favorite summer vegetable. They are SO SWEET then and I could eat them like candy. After destringing them. I HATE those strings. I foresee myself devouring batch after batch of this. Singlehandedly.